Please call ahead to be sure all the materials and people will be available to answer your questions. 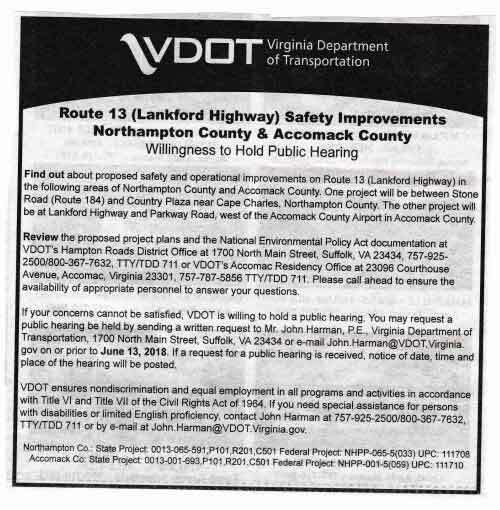 To request a public hearing contact John Harman at John.Harman@VDOT.Virginia.gov. This project has been requested by area residents for nearly 10 years. You would think they could at least make the plans available locally and hold a meeting near the impacted area.